Former NASA space shuttle commander and astronaut Pam Melroy will be one of the key note speakers at the Emerging and Disruptive Technology Assessment Symposium (EDTAS) in Perth in March. 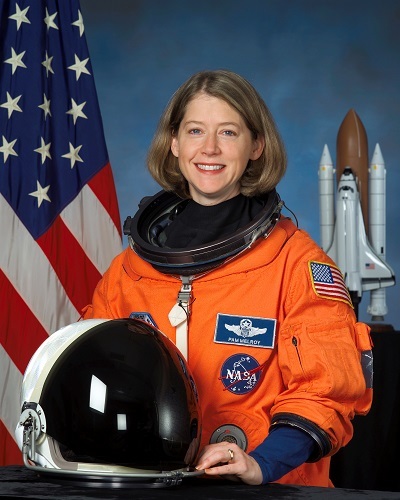 A former Air Force test pilot, Pam Melroy was selected as an astronaut candidate by NASA in 1994. From 2000 to 2007 she flew 3 missions in space to build the International Space Station. She is one of only 2 women to command the Space Shuttle. After logging more than 924 hours in space, Melroy went on to work for Lockheed Martin's Orion Space Exploration Initiatives program before serving as the Deputy Director of the Tactical Technology Office at the Defence Advanced Research Projects Agency (DARPA). She is now the Director of Space Technology and Policy at Nova Systems. Four universities in Western Australia will co-host the symposium which will focus on emerging space technologies. Edith Cowan University, Curtin University, Murdoch University and the University of Western Australia joined forces to pitch for the opportunity to co-host the Emerging and Disruptive Technology Assessment Symposium (EDTAS). The consortium was selected by Defence following a nationwide call for a preferred academic partner. Together these four universities presented a very strong case to host the two-day symposium, which will attract internationally recognised academic, industry and Defence leaders to explore and shape the long-term vision for space technologies.